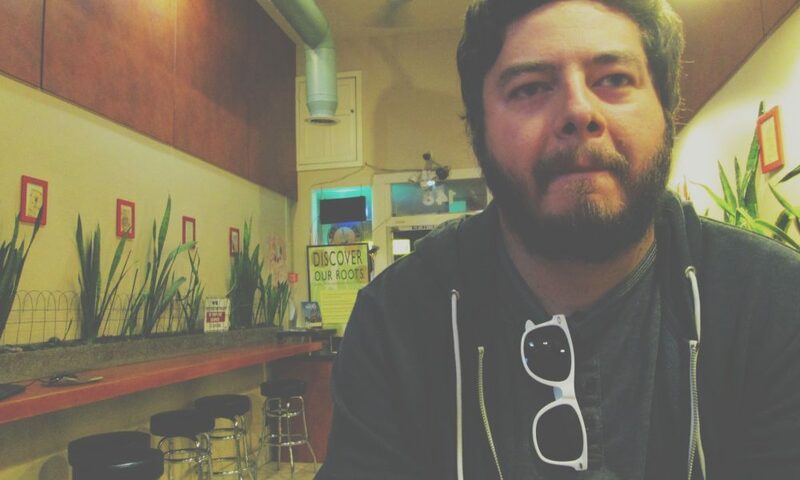 Today we’d like to introduce you to Raul Esquivel. Raul, please share your story with us. How did you get to where you are today? I got my start as a designer pretty early on as a result of my interest in music and astronomy. As a kid, I was always amazed by space and astronomy and I held onto that interest all throughout grade school. I was never super artistic in terms of being an amazing illustrator but I did draw a lot in middle school. Mostly anime stuff like DragonBall Z characters. I did, however, start gaining a deep interest in photography as early as 7th grade. While in high school, my interest in photography led me to create an online photography portfolio on DeviantArt. I had my own camera but it was a cheap 7.1 megapixel Canon point-n-shoot that I would carry EVERYWHERE. Once I started uploading things regularly to DeviantArt, I began browsing around the site and came across an art style that was called “Surreal Space Art”. Basically, it was a type of concept art where the subject would be scenery of impossible places throughout the universe. Like a view of looking down with a moon below with a giant ringed planet in the background or standing on an alien world with a giant planet visible in the sky. I was amazed by that type of artwork and my love of astronomy was telling me to learn how that was made. After asking a few questions to the creators of a few pieces, I quickly figured out they used Adobe Photoshop and a 3D terrain rendering program called Terragen. I had never used Photoshop before, let alone a 3D program. So I began searching online for as many design tutorials as I could find and ended up learning a lot of really advanced Photoshop and design techniques early on. It was about a year or two of learning things on my own that I started noticing I was able to create artwork that was comparable to what got me interested in design in the first place. At the same time I was teaching myself design, I also became a guitarist in a few metal bands. I started creating artwork and logos using the band names for fun and noticed that I really like doing stuff like that too. I ended up showing a few of the members some of the artwork I made and they liked it and showed people from other bands and they ended up hiring me to make artwork for them as well. Soon after that is when I learned what freelancing was and I set up a name and website and began freelancing for bands and clothing companies for the next few years. I built up a pretty decent amount of work with all sorts if bands. Even a few dream clients as well. Once I graduated high school I decided that instead of attending a 4-year college and getting a design degree, I simply went the trade school route and studied design and animation at a film school in Burbank, CA called Video Symphony. I went through the 10-month course and about a month after I finished, I began landing a few short term design gigs until I was hired as an Art Director at an agency in Venice called Something Massive where I stayed for 5 years until recently moving on to an in-house design position at Ticketmaster where I’m currently at today. I think for any self-driven creative individual, there has to be some form of struggle in order to fully convince yourself that this is ultimately what you want to do with your life. And for me is no different. The fact that I wasn’t able to attend any of the schools I wanted to attend after high school due to the cost and burden it would put on my parents was a huge factor in what made me hustle and learn to be as resourceful as I am today. The fact that I have made it this far in my career without a formal college education is an example that struggles you face can be used as motivation to find another way to achieve the same thing. I’m pretty much the same person I am today as I was growing up. The only difference is that I’m more self-aware of the person I actually am rather than living as an image of what my environment dictated me to be. My interests have always been related to the creative field. I just didn’t show it all that much because I was an extremely shy kid. Mainly due to the fact that nobody else around me was interested in the same things as I was so I felt I had to keep everything I enjoyed inside me. I used to think of myself as an introvert but over the last few years I’ve realized I’m actually an ambivert, meaning I have both introverted and extroverted tendencies, but most times I choose to lay low and enjoy my own company. My favorite childhood memory was when my parents bought me my first guitar at age 11. I had just started middle school and my friends all got put into an Intro to Music class and I was the only one who didn’t because I never had the best grades so I was never offered many elective classes. I was jealous that they were learning how to play guitar and I wasn’t there with them. So I decided to ask my parents if they could buy me a guitar because I was going to teach myself how to play on my own. They were kind of skeptical but after a few months, they relented and bought me one just in time for Christmas. This is where I began building my skill of being resourceful because over the next few years, I slowly began teaching myself with the help of the internet all while never once taking any formal guitar lessons. My plans for the future pretty much revolve around being able to make enough money to fully support my parents without them having to work another day. The means by which I plan to get to that point are all based on my interests and abilities as an artist and entrepreneur. My ultimate goal is to be able to make a sufficient amount money to be able to support myself independently doing the things I enjoy. Whether its designing and selling products, writing and recording music, or building a business or two. I am currently building upon the foundations I laid out for myself when I was younger in order to fully realize my goals and aspirations hopefully sooner rather than later.